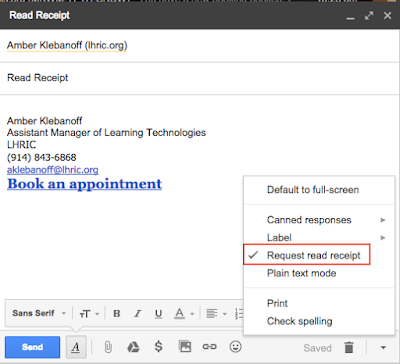 Did you know that in Google Apps for Education you can receive a read receipt from a sender? Here's how. You will receive an email when the party emailed has click on the read receipt button.